Ever feel like your kids spend too much time on their screens? 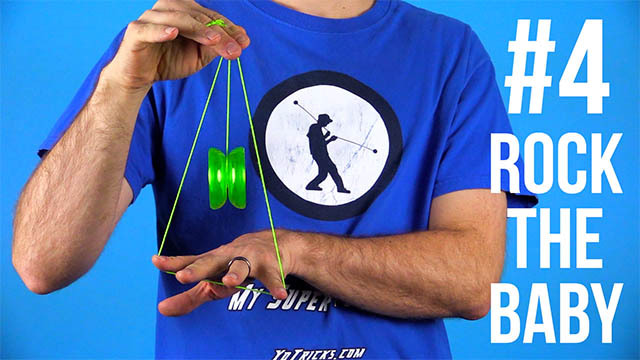 Yoyos might just be the solution you've been looking for. A yoyo fits in your pocket, making it a great screen alternative. Learning tricks builds coordination and determination. Yoyos teach kids screens can be used to learn, not just lounge. The Fizz Yoyo - Rise to the top! 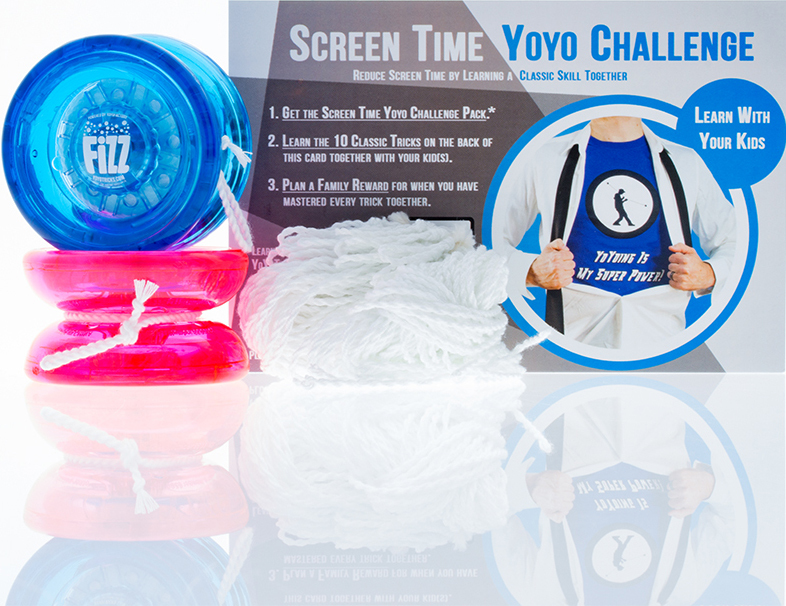 The Screen Time Yoyo Challenge Pack comes with 2 (or more) Fizz yoyos - the same yoyo we use to teach all 10 tricks, so you know it works great! The Fizz has a long-spinning, ball bearing design capable of spinning 3-4 times longer most yoyos found in stores. The pack also includes extra strings so knots and tangles won't slow you down! and to ask us any questions you might have! Learn the 10 tricks a beginner should know to build the confidence needed to keep learning without limits. 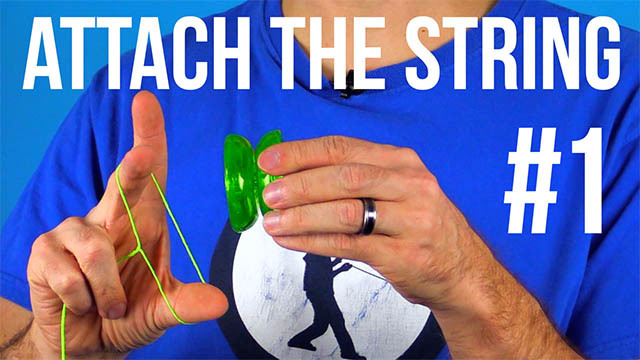 Learn how to attach the string to your yoyo, attach the string to your hand, and how to wind the yoyo up. Everything you need to get started. 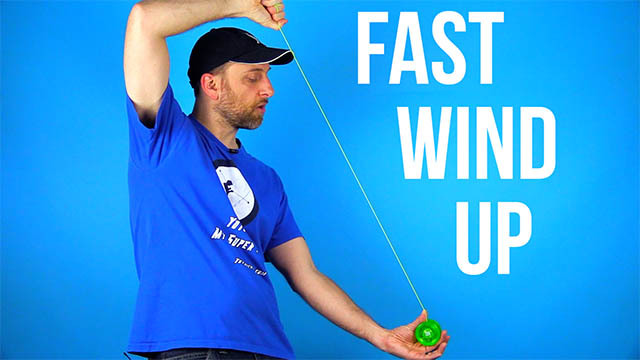 As an optional trick, learn how to quickly wind the yoyo up with The Fast Wind. 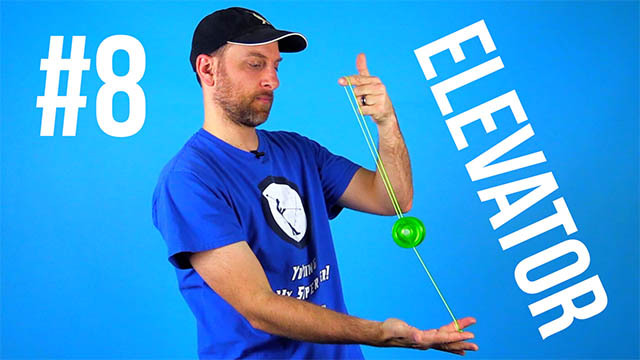 Although not required to complete the challenge, learning this optional trick will make learning all the rest of the yoyo tricks easier and more fun! Learn the professional way to properly hold and throw the yoyo. 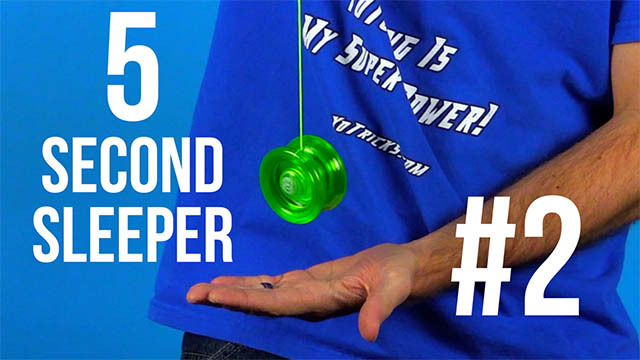 Plus get some helpful tips on how to get the yoyo to sleep at the bottom of the string. 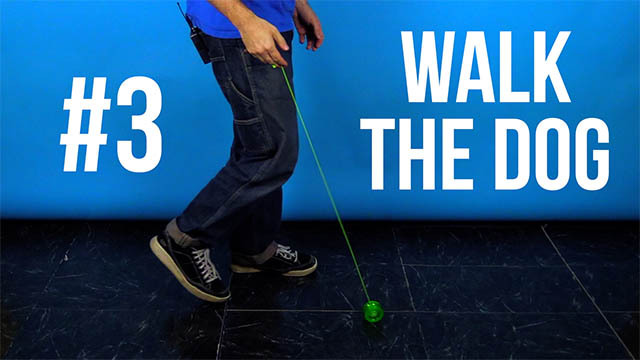 Now that you've mastered the 5 second sleeper, learn the most iconic yoyo trick ever, Walk the Dog. Rock the Baby is a well known picture trick that can be learned in just three steps. This trick is not only fun, but will challenge you to improve your throw to get a long enough sleeper to perform the trick. Yoyos can do a whole lot more than just go up and down. 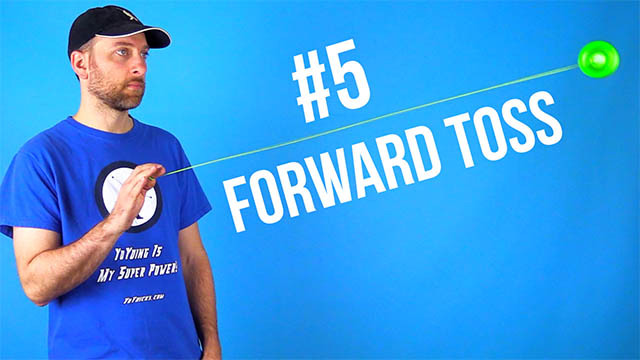 Learn the Forward Toss to take your skills in a whole new direction! Mastering the Forward Toss will lead you right into your next ultra-famous trick, Around the World. Don't worry, we'll be sure to bring you right back once you're done traveling. 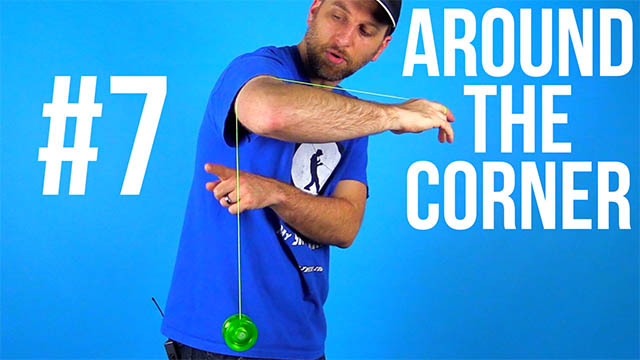 Learn how the yoyo follows the path of string in this trick. It might not involve sneaking like a ninja, but it is a cool looking move! The Elevator is the first trick you will learn where you place the yoyo onto the string. 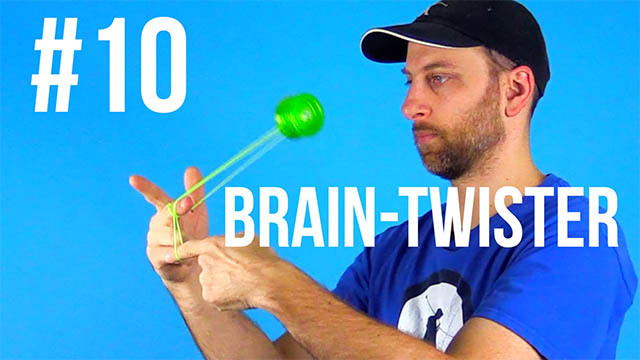 Not only is it a fun and impressive trick, it will introduce you to a whole new dimension of yoyo skill. Now that you know how to put the yoyo on the string, you can start manipulating the yoyo with the string. 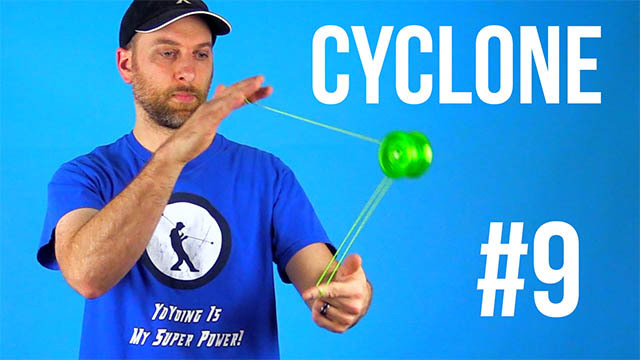 The Cyclone is your first full-on string trick! The Brain Twister (don't worry, your brain will be fine) is the final trick on the list. This trick it isn't easy but if you learn it, you're sure to impress a crowd. As added motivation, we recommend you plan a reward to use as a celebration once you've completed all the tricks on this list. Make sure its something fun and something special to help give you that extra drive. 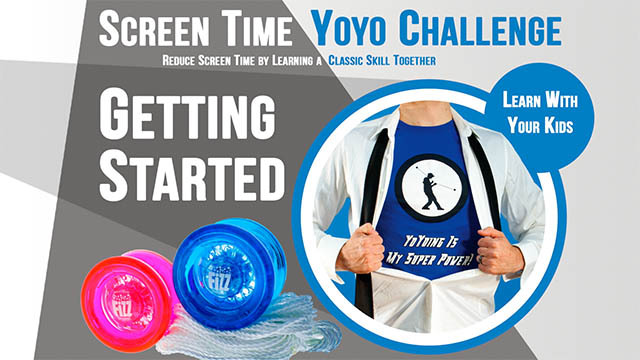 yoyo related news, contests, and products.